The crises of the eurozone and of migration in Europe pose potentially existential political problems for the European Union. At a time of mounting scepticism regarding supranational integration, it is important to remember that this project is rooted in the continent’s experience of total war in the first half of the twentieth century. 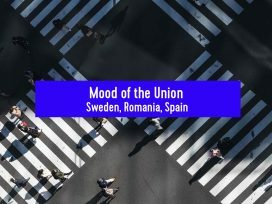 Despite all its problems, the European movement has been remarkably successful in integrating the economies and societies of the continent to such an extent that violence among its member-states has become virtually unthinkable. With the end of the age of empires and colonialism, it has also allowed small nations to survive as independent entities in an increasingly globalizing world of large states and powerful multinational corporations. Although these achievements may seem banal in the face of the ongoing European crises, they represent a major transformation in the history of the Savage Continent, to borrow the title of Keith Lowe’s 2013 monograph.1 Turning to Hannah Arendt, one of Europe’s leading theorists of totalitarianism, reminds us of this fact. Her reflections on the atrocities of twentieth-century European history help us to remember what the European project is really about. Arendt’s early support for the European communities in the 1950s – despite their supranational, technocratic and economistic qualities – is rooted in her vision of this project as a political transformation in the aftermath of totalitarianism. In a time of renewed populism and nationalism, it is all the more important to preserve the memory of totalitarianism and the dangerous contradictions of the nation-state that led Europe into two devastating world wars. Arendt’s analysis of totalitarianism and her positive evaluation of integration build on a tripartite division of human activity, which she systematically laid out in The Human Condition. The first of these activities is labour. For Arendt, ‘To labour [is] to be enslaved by necessity.’2 It is characterized by futility, as labour never leaves anything behind. Arendt ties labour to the household, where chores such as cleaning, washing and cooking have to be endlessly repeated. She argues that it is not labour but work – a separate activity – that produces artefacts such as factory goods, art, books and other objects which allow us to orient ourselves in the world. Although the products of work do not last forever, they are durable and can outlive their maker. Arendt’s third category is action, defined as speech and deeds. It is interpersonal and is carried out in the public sphere: ‘With word and deed we insert ourselves into the human world, and this insertion is like a second birth.’3 Appearing in the world depends on plurality, since humans cannot assert their individuality without others to identify themselves both with and against. While labour and work are ruled by mechanistic concepts of causation, action is the realm of what Arendt calls ‘natality.’ By appearing in the world, individuals give birth to new ideas and set ‘new beginnings’ in motion. Although individuals are able to distinguish themselves through action, this process is futile without memory. Speech and deeds leave nothing behind. Their experience must be preserved by the saving power of remembrance. Given action’s importance, relying on a faculty as inconsistent as memory is perilous and unsatisfactory. Arendt notes that the ‘factual world of human affairs [i.e. of action] depends for its reality and its continued existence, first, upon the presence of others who have seen and heard and will remember, and, second, on the transformation of the intangible into the tangibility of things.’4 The reification of remembrance is mediated first by the storyteller, who crafts a narrative that can be passed on to others, and second by the political community, which preserves these stories over time and provides a space in which they can continue to be told. Storytelling is crucial because it preserves action temporally and allows its renown to spread. It is only after words and deeds have been situated within a plot that they can be passed on to future generations. Arendt links storytelling to history, which preserves words and deeds for posterity. It thus offers human beings the chance to gain immortality as individuals. Although Arendt appreciates the importance of primary sources, she notes that they are quickly subsumed within the meaning-giving narratives. It is the outsider who fuses accounts of individual events into meaningful stories by overlooking the narrow aims of the actors to concentrate on the meanings that participants in the events themselves cannot have comprehended. While storytelling makes remembrance tangible, it produces memories that depend on the fragility of oral retelling. In order to gain permanence in the world, memory must pass from action into the realm of work, of things. Arendt argues that communities must fabricate memory through collective symbols. This highlights the importance of political community, which provides a safe haven from violence. By ensuring the safety of its members, it guarantees that witnesses will be present to testify to action and preserves action in the form of law. The memories preserved by the political community are sticky and difficult to change. However, certain events are so violent, so disrupting and so consequential that they undermine existing narratives. While such ruptures present the opportunity to tell new narratives, they also threaten the capacity for remembrance upon which action itself depends. 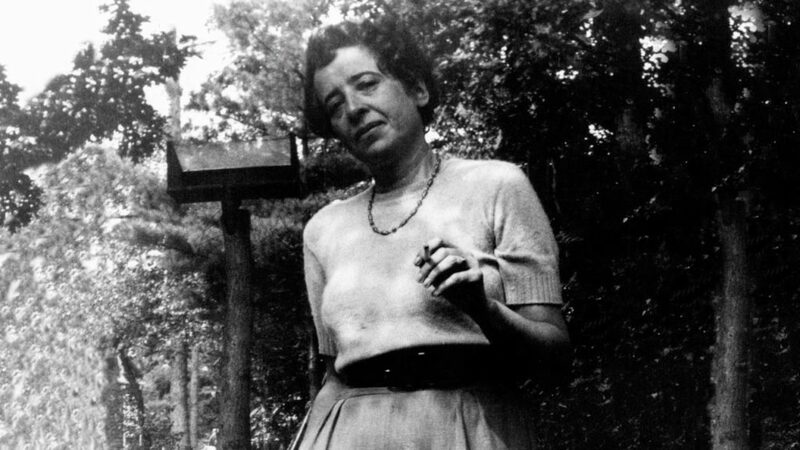 For Arendt, the paradigmatic example of rupture is totalitarianism. 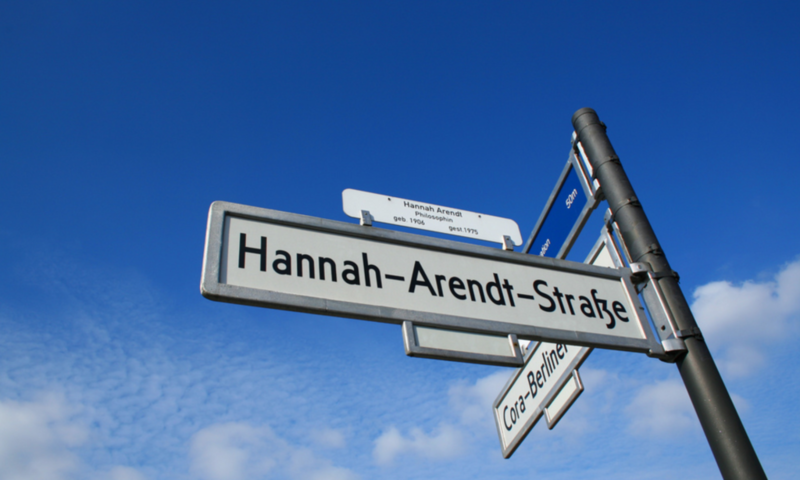 The aspect of this political phenomenon – particularly in its National Socialist variant – that concerned Arendt most was its desire to destroy plurality. She was wary of totalitarianism’s embrace of the ideal of a unified body politic. As human life is restricted and constrained, action and the public realm are subsumed by the unity of das Volk. The spontaneous natality of action is replaced by mechanistic conceptions of nature that have a past and a present, but no future. These are not necessarily words that one would expect from Arendt. The grandiose rhetoric surrounding the early stages of the project, such as French Foreign Minister Robert Schuman’s declaration that it would make war on the continent ‘not only unthinkable, but materially impossible,’ must have stirred Arendt’s disgust at utopian projects that displayed a ‘contempt for reality.’10 She can hardly have been any more enthusiastic about the ECSC’s economistic approach to ‘sectoral integration.’ Along with many of her contemporaries, including Theodor Adorno and Herbert Marcuse, she had a bleak, dystopian vision of a mechanized, industrial future governed by centralized technocrats. And yet, despite all this, Arendt was a strong supporter of the postwar European movement. Instead of rejecting the ECSC, she described it as ‘the pardon and the promise’ of the postwar world.11 Although many aspects of the proposal went against her prior theoretical commitments, Arendt recognized the Schuman Declaration and all that followed it as a form of action par excellence. It demonstrated the renewed capacity of individuals to ‘create something anew’ by ‘acting in concert’ in a world that had been dominated by totalitarianism less than a decade earlier. Like many survivors of the war, Arendt saw Europe as the solution to the problem of violence on the old continent. In addition to its ability to reify the memories of Europe’s age of total war by bringing them into the structures of a new political community, there are also a number of aspects of the institutional infrastructure of the ECSC that fit within Arendt’s theoretical framework. Although she feared the potential despotism of impersonal administration, she also recognized bureaucracy as an aspect of good governance that provides the space for memory and action through the enforcement of the law. These considerations were enough to convince Arendt to abandon her preference for ‘inter-national authority’ in favour of the European institutions created in the 1950s.14 Her endorsement of the European project is rooted in her conviction that a Europe founded on the legacy of the anti-Nazi resistance could become a political federation guided by the ideas of freedom and public deliberation at a level beyond the nation-state. Despite her surprising optimism, she worried that a European federation could turn into a vehicle for a new, pan-European nationalism. 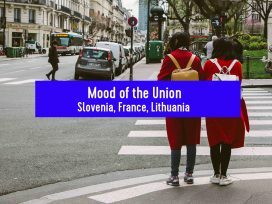 However, this possibility presumed that Europe would be able to homogenize differences, uniting its members as tightly as the nation-state had done. As subsequent events have shown, this is not a likely outcome. Arendt argues forcefully that totalitarianism must remain at the centre of the modern historical consciousness. As the German ‘Historian’s Debate’ (Historikerstreit) of the 1980s, the rehabilitation of Stalin in post-communist Russia in the 1990s, and the rise of proto-fascist, nationalistic parties in many western European states, as well as the creation of illiberal democracies in Hungary and Poland in the last decade demonstrate, this threat is far from over. During the course of the last half-century, the EU has made an important contribution to the singular focus on totalitarianism and the Holocaust in postwar Europe. However, it has not managed to save the memory of totalitarianism from the oblivion of historical normalization. Contrary to Arendt’s fears about the rise of a pan-European nationalism, the EU has not been successful in overcoming the nationalisms that led to its age of total war in the first place. At the start of the second millennium, the generation that experienced and could remember the events of the Second World War is no longer active in public life. Whereas previous cohorts of European political leaders were able to draw on shared memories of rupture dating back to 1945, the cadre that has come to power since the turn of the millennium does not have access to this reservoir of the shared experience of war. Ironically, this problem may be related to the industrialist economic foundations of the EU and Arendt’s fears of systems of collective life that are based on work (economics) not action (politics). 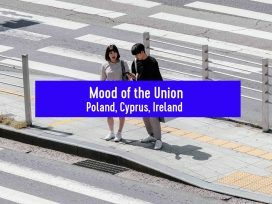 Until the Great Recession and the eurozone crisis plunged Europe into economic turmoil, the EU’s reliance on prosperity as the central justification for integration was not a problem. However, the loss of the normative resources of memory has shown itself in the inability of the current generation of leaders to articulate a vision that goes beyond the instrumental reasoning of economics. This result is precisely what Arendt feared. It can hardly be an accident that the rise of the first cohort of European leaders who have no personal memory of the Second World War coincides with a return to nationalist thinking and national solutions to the increasingly globalized problems that Europe and the world as a whole face today. Despite many cultural initiatives, the EU is organized around a common market with the goal of increasing productivity across national borders. The increasing embrace of neoliberal economic rights and freedoms through ‘negative’ integration has made the ‘fabrication’ of a common European memory more difficult. Deteriorating economic conditions not only threaten the EU as an institution; they also undermine the anti-fascist foundations of postwar Europe. The fading of the rupture of totalitarianism from European memory threatens to turn ‘the pardon and the promise’ of European integration into a short interlude in of European history. 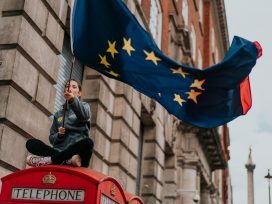 The main source of hope is to be found in the fact that younger generations across most of Europe maintained their support for the kinds of multicultural, cosmopolitan values promoted by the EU. 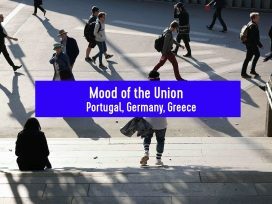 The concurrent danger is that frustration at their relatively poor economic prospects will drive them to join older cohorts, who hold more traditional values and retro norms, in supporting right-wing populist, anti-European parties, as has already started happening in some of the member-states.15 This only serves to increase the importance of initiatives such as the Erasmus program that encourage cultural, educational and social contact between young Europeans across national borders. In this way the first generation to grow up on a continent of open borders can become the carriers of long-term support for the cosmopolitan project of integration. In the short term the spectre of a resurgent fascism may help Europeans to put the postwar narrative of integration into a broader perspective, even under the strains of economic crisis. The leaders of the current generation can reinvigorate memory as a resource for European cooperation by abandoning the economic thinking and divisive, nationalistic uses of memory that Arendt so feared. Doing so will not only help to bring the crisis under control; it will also ensure that the EU survives and is passed on to a new generation of Europeans. In this way the project might, despite its many problems and flaws, fulfil the hopes that Arendt voiced so many years ago. Keith Lowe, Savage Continent: Europe in the Aftermath of World War II (New York: St. Martin’s Press, 2012). Hannah Arendt, The Human Condition, 2nd ed. (Chicago: University of Chicago Press, 1998), 83. Arendt, The Origins of Totalitarianism (New York: Brace Harcourt, 1951), 434. Arendt, ‘Imperialism, Nationalism, Chauvinism,’ The Review of Politics 7, no. 4 (1945): 444-5. Arendt, Essays in Understanding, 1930–1954, ed. Jerome Kohn (New York: Harcourt, Brace & Co., 1994), 113; Arendt, On Revolution (New York: Penguin Classics, 1990), 195. Quoted in Lotte Kohler and Hans Saner, eds., Hannah Arendt Karl Jaspers: Correspondence, 1926-1969, trans. Robert and Rita Kimber (New York: Harcourt Brace Jovanovich, 1993), 351, Letter #228. Arendt, Origins of Totalitarianism, 458. Arendt quoted in "In Search of Europe: An Interview with Jacques Delors," Eurozine (1 July, 2011), 2. Arendt, Essays in Understanding, 416. Arendt, Men in Dark Times (New York: Harcourt, Brace & World, 1968), 81; Arendt, On Revolution, 267. Arendt, Crises of the Republic (New York: Harcourt Brace, 1969), 231. Robert Inglehart and Pippa Norris, ‘Trump, Brexit and the Rise of Populism: Economic Have-Nots and Cultural Backlash,’ Harvard Kennedy School Faculty Research Working Paper Series (RWP-16-026), August 2016, 13, see also Figure 8 on page 41 and citations therein.